A young Pioneers squad with only one senior, Sarah Schmidt, fell behind the red-hot Omaha Mavericks 2 sets (26-28, 23-25) to none. At that point, things changed. 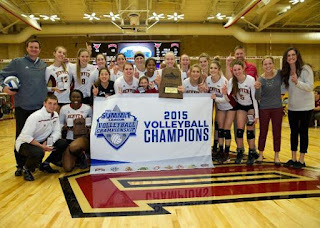 While many of us were ready to write DU off, the Pioneers refused to give up and rallied to claim the final three sets (25-20, 25-18, 15-10) to claim their second consecutive Summit League Crown and advance to the NCAA Tournament. Under the steady hand of Jessie Mahoney and his staff, a young and talented DU team refused to wilt when they fell behind 5-0 in the deciding set. The Pios staged yet another gutsy rally to bring the set even at 8 and pressed the Mavs until they cracked. Game, set, title, & NCAA bid. Omaha took down IUPUI the previous day storming back from a 2-game deficit but were on the other end of today's rally. 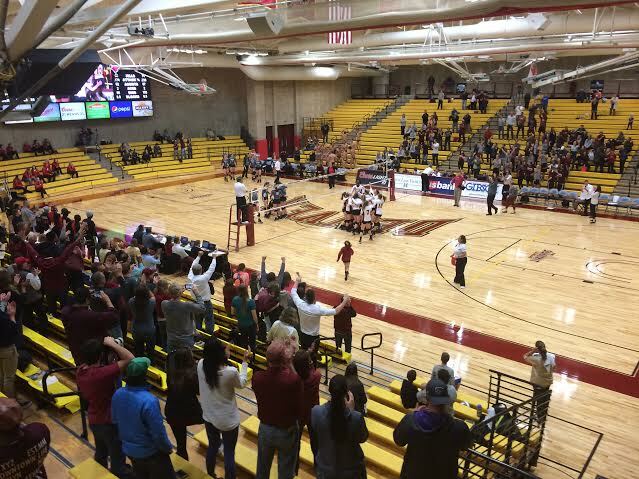 They left the court in stunned silence as DU celebrated the comeback win. 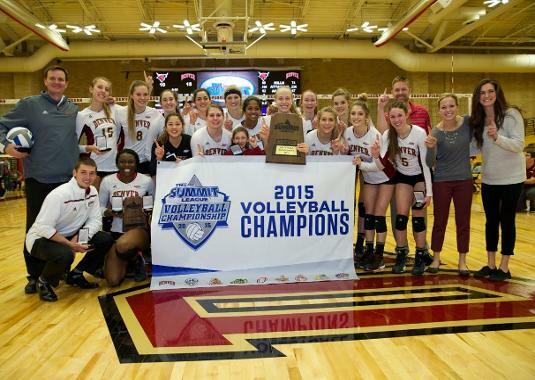 The Pioneers won the Summit League regular season crown, Summit League Championship Tournament and tied for the most wins in Pioneer volleyball history. The Pioneers also boasted the tournament MVP, Ruth Okoye. Special recognition should go out to Cassidy Rooke for her steady libero play, Kayla Principato (All-Tournament Team) and Senior Sarah Schmidt (All-Tournament Team) for her inspirational senior leadership. Every player on the floor played a critical role in securing the final three sets to clinch their second straight NCAA Tournament bid. Denver will close out its regular season in a non-conference matchup Saturday, Nov. 28 at Long Beach State at 2 p.m. MT. The Pioneers will find out their seeding on the NCAA Tournament Selection Show on Sunday, Nov. 29 at 7 p.m. MT on ESPNU. I was there yesterday, and it was quite an atmosphere in the last game, with everyone on their feet. Pios showed great resilience - I am convinced that of most team sports, volleyball is 75% mental - the game of momentum and runs, and stopping the other teams runs.